The May Meet & Greet - A Month Most Sweet! [IMPORTANT] The May Meet & Greet - A Month Most Sweet! Hello! It's Kris here presenting the May Edition of the Monthly Meet & Greet, the thread to get to know each other and the forum a little better, so sit back and enjoy the May Meet & Greet! The monthly Meet & Greet is to encourage users who've been on the Forum a while, or have just joined recently, to come interact with everyone and discuss topics about anything Pokemon and non-Pokemon related. Myself and fellow Kahunas @moo311 and @"yung lord" are here to assist you with any problems you may have, so PM us any questions you might have. If we can't help, then there's the Forum Moderators, @0kamii @FireTaco and @stephenWITNESS or the site Admins @Justin and @Agro who will be able to help you out. Of course, we're not here to just help you out, come say hi, we don't bite! Be it through Battles, Trades, Discussion or even Art, we look forward to talking to you! Here's where I ask you some questions to get the Discussion started, join in and have some fun! In following the Shiny Fails Thread, Who's your Favourite Shiny Pokemon? E3 is up next Month, so What surprise Title do you think we'll/want to see at E3? There's been a lot of fake Pokemon Leaks throughout the years, but What is the Funniest Fake Leak you've seen? Now it's time for you to tag a member with @ and ask them a question of your own! For example; @ScottyThunder great name, but what's the inspiration behind it? Make sure to have fun on the Forum and keep up to date with everything Pokemon related, we look forward to chatting with you, so I hope to see you soon! Haven't been active in a long time so I'll go first. My favorite shiny pokemon are giratina, serperior, and whimsicott because it makes their design look even more majestic. I'm not really interested In E3 but as far as games go I've recently gotten back into overwatch and i wish to finish sonic 06 since mines broke yrs ago. The more recent leaks for pokemon on the switch have been really interesting to look at especially the designs for the starters, They made the water type into a platypus which i am 100% down for, hopefully GF comes out with a platy design soon. As for my question anyone can answer and it's what type of music have you been listening too or recently discovered. I've been listening to alot of songs from a J youtuber named EVE. Words i live by - Good Luck and Chance. 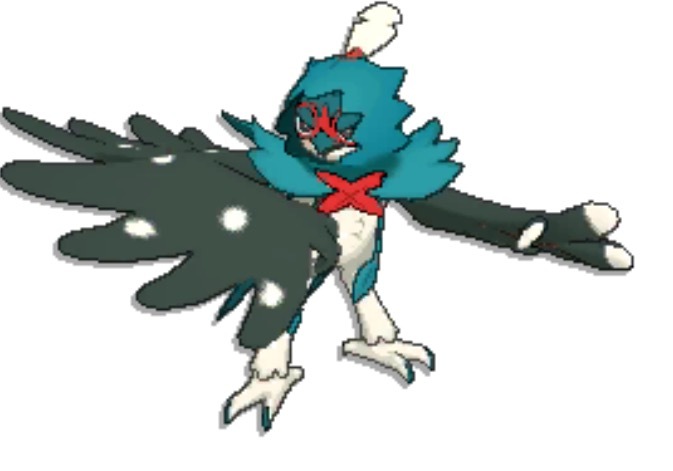 My favorite Shiny (as of Gen 7) can only be Decidueye. Not only because it looks amazing in general, but as most of you probably remember, I was crazy enough to Shiny hunt Rowlet at the beginning of Sun and Moon from launch day until I got it. It set back my playthrough two whole weeks, but I eventually got it after 1,784 soft-resets. This in turn gave rise to a little bit of spite, inspiring this infamous post, but the fact remains. It's easily the Shiny I've worked for the most, and because of that, it's also certainly my favorite! Even though I know that there's virtually no chance of it EVER happening, I would love to see this underrated gem from the PS3 era get a remake/remaster. Lair was one of those games that I brushed off upon release, and I like many others panned it for its horrible controls and wonky playstyle. Over the years though, I've since revisited, and thanks to the one (and only) patch the developers released fixing the controls, the game is easily one of the most underrated titles I've played. Without worrying about the controls, the story shines through, I think the graphical quality holds up even now. 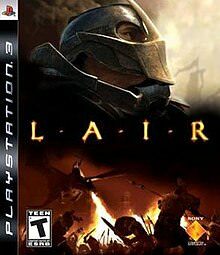 Obviously, the game didn't sell quite enough to ever be anything other than a disappointment in the eyes of the developers, but a few loyal fan like myself know the gem that is Lair for what it really is. Can't really weigh in on the 'fake leak' scene. I've always done my best to avoid leaks in general because I like waiting for the official annoucement, just so I don't get my hopes up that something a fan designed (often cooler than the actual design) isn't the real thing. 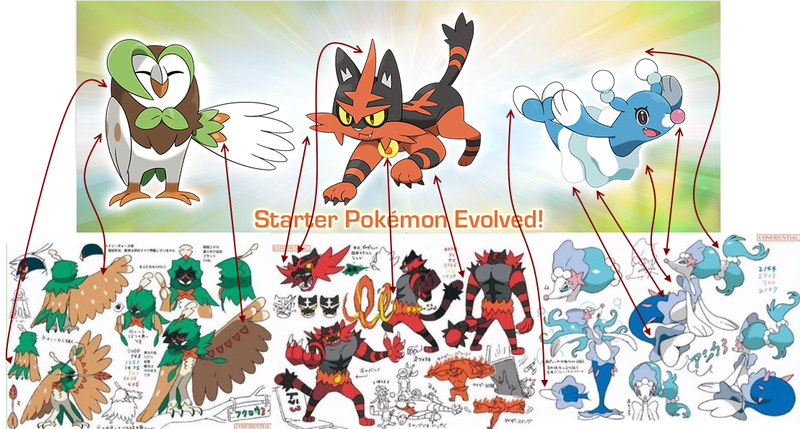 I can't really say what the funniest leak has been, but I distinctly remember seeing the Gen 7 starter final evolutions leaked for the first time (via some nosy friends) and thinking, "Please let these be real. I want that Owl!" I got my wish then, it seems! Now it's time for you to tag a member with @ and ask them a question of your own! @Sithogryph, I noticed that you have an affinity for Gengar. What's the story behind that? Q: Here's where I ask you some questions to get the Discussion started, join in and have some fun! A: I disliked a lot of shiny Pokemons, but for favourite I can list a few, Ho-Oh, Rayquaza, Arceus, Genesect, Yveltal. Q: E3 is up next Month, so What surprise Title do you think we'll/want to see at E3? Q: There's been a lot of fake Pokemon Leaks throughout the years, but What is the Funniest Fake Leak you've seen? A: I can list a lot for this, like another Kanto Remake,in Gen 7, Pokemon Stars, etc Fun Fact: Smogon Orange Islands users redraw Kanto because they find Kanto region very plain, like adding more routes like BW2. Now it's time for you to tag a member with @ and ask them a question of your own! Time to bring in many people as usual! Three questions for you guys! 1) Have you guys attempted to host any giveaways in any Pokemon Forums? It can be here, GameFAQs, Reddit, Smogon, etc. Personally, I started from r/pokemongiveaway. I started hosting Pokemon Giveaways in mid-2015 in r/pokemongiveaway. It was a great experience at that time with a lot of great people there. During my time in Reddit, I met a lot of great people such as PokeTubers like Collector Togami, well his Youtube channel has grown these past few years. But I left r/pokemongiveaway due to excessive harassment and the moderators at that time did nothing about it in late-2016. During my time in Reddit, I distributed hilarious giveaways from HA Starters to Youngster Joey Giveaway, I think I have hosted about 40+ giveaways in those 2 years. I met a lot of nice people who are currently in other Pokemon communities. After I left r/pokemongiveaway, my next destination is Smogon, Azurriland, Serebii, but the experience in these communities are not really great.Then I ended up in GameFAQs, but I left because the moderators there are horrible. And hence I ended up in Pokemon Forever. During my time in Pokemon Forever, I have hosted mostly item giveaways from Lucky Eggs to Gold Bottle Caps because they are always high in demand. During my first visit to Pokemon Forever, I was greeted by the older moderators, like Unit, Reed, Elly, but most of them left last year. Over these 2 years, I met a lot of nice people. Unfortunately, I am very busy nowadays, I will probably host more item giveaways when I have the time. 2) What are your thoughts of the #music in Pokemon Forever Discord Channel? Fun Fact: I am tone-deaf. 3) Do you like to eat Japanese food? I like to eat Sushi! But they are overpriced in Southeast Asia. Who's your Favourite Shiny Pokemon? Oh jeez, where do I even start with this one! While I've never been much of a shiny hunter, I've always loved shiny Pokémon. There's a few I have fond memories of, like my shiny Cascoon from Ruby or my Durant from Y. When it comes to actual favorites, it's a tie between Ho-oh, Charizard, Ponyta, Torchic and Magikarp. But its Charizard. @ScottyThunder great name, but what's the inspiration behind it? Ah, the age-old question regarding my username. There's actually quite a bit to it, but it isn't all that interesting. I digress. My first name is Dylan, so named after the great folk God himself, Bob Dylan. My middle name is Scott. Since there are a million Dylans in the world, most people just call me Scott. My folks and closer friends call me Scotty. So, there's half of it. The other half comes from the creative genius I possessed whenever the hell Halo 3 came out. I can't remember if part or all of it came from Xbox's amazing gamertag generation, but back then my callsign on the internet was DimThunder. I have never ever ever ever ever since used that name, because it is overwhelmingly stupid. Instead, I used my artist alias JinnRyuu for the better part of, JEEZ, four years this July? Then, when I got my PS4, I thought I'd do something a little different. Then came ScottyThunder, the beautiful fusion of my real name and my internet name from my childhood, with my whole life coming full circle. It has been probably three years since then, and it has been my go-to username and gamertag for anything and everything since. Looking for breedables? Check out my new shop! Hey @Kris great post (as usual) and thank you for featuring my month worth of sketches in this thread! And I guess I'll answer those questions you asked..
E3 is always full of suprises but honestly I just want to see what's going on with the M&LBiS Remaster but I really love to see more Smash 5 stuff. I'm not really the person that take much attention at leaks... But I do find it kinda funny (also annoying...) when people really are hyping up Kanto or Sinnoh remakes like I rather get a new generation and let the games be how they always were with New generation game followed by a remake or sequel.. Of course not the funniest... but I honestly just don't take a look at fake leaks. I have too many XD so I'm going to list one or more from each generation! i don't know really lol. I don't pay attention to E3 much. It'd be cool if they could come up with an adventure game, like Tomb Raider and such. One of my favorite types of leaks are the "NEW POKEMON LEAKED" lol. Even though most of them are obviously fake, it's cool to imagine them being real and coming up with fun theories! Easy, Pokemon snap upgrade for VR or on Switch. They got a lot of new pokemon to base it on, and it's sure to get the nostalgia flowing for most people. I don't really look at leaks until they are proven true, I think that the funniest one was the 3 gen 8 starters that had everyone going crazy a while back, you know that grass monkey, platypus, and fire bunny. Just everyone's reaction and how they thought it would be real even though gen 8 won't come out until 2019 in my opinion. Oh well, In Ash's League battle against Sawyer, Pikachu threw a log that got stuck in Aegislash's armor, preventing it from switching to Shield Forme from Blade Forme with King's Shield, allowing Pikachu to KO it with Thunderbolt. That was, hmm, cheating cool? "To believe in an ideal, is to be willing to betray it"
@FireTaco Thanks for the tag! I don't know what my favorite Pokemon anime move combo would be, but I think that the way Bugsy's Metapod used String Shot to move in JE028: Gettin' the Bugs Out was pretty cool! 1. In following the Shiny Fails Thread, Who's your Favourite Shiny Pokemon? Definitively my Blue Exorcitst flavored Ponyta! 2. E3 is up next Month, so What surprise Title do you think we'll/want to see at E3? 3. There's been a lot of fake Pokemon Leaks throughout the years, but What is the Funniest Fake Leak you've seen? The rumors about the new battle mechanics for Gen 8 (assuming they are false). 4. Now it's time for you to tag a member with @ and ask them a question of your own! 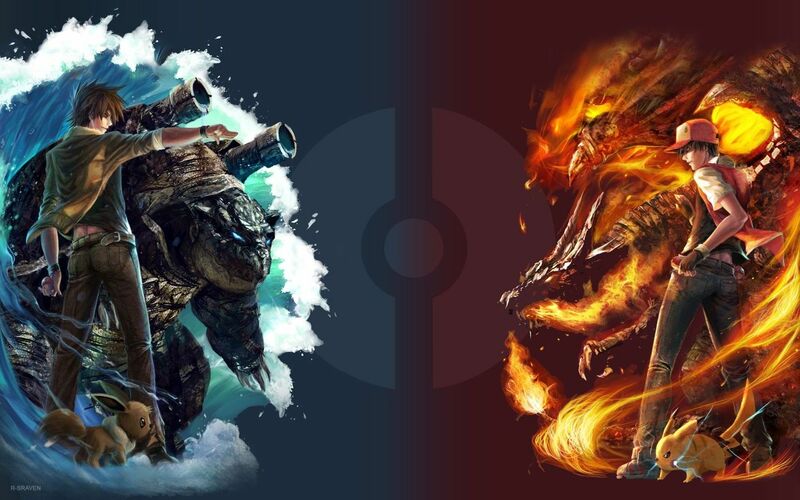 What is your favorite Pokemon generation and why?